I haven’t posted for a while – I’ve been busy. (A levels aren’t easy!) Anyway, I’m on half-term now so I’ve got a bit of time to do some blogging. As usual, since my break started, I’ve been glued to my television, telephone and computer screens and it got me thinking. I’m not going to go off on a rant about how we’ve all become too dependent on technology; or how we should all be outside getting some fresh air, rather than watching a DVD box-set of “24”, because I think it’s great how easily we can get media. But of course, as we all know, there are downsides to the ease with which we can create and experience media. Artistic values are often compromised for profit; people don’t get enough exercise; people don’t spend enough time with each other; it’s quite easy to experience media illegally; and the list goes on and on. Another quite worrying disadvantage is the negative values and ideology that are always put into our media like music and movies. Anyway, as I said earlier, I’ve been watching loads of TV and movies and listening to loads of music so I thought I’d show you all the things that have made it easy for me to do so and tell you a little bit about them. iPlayer in my opinion is one of the best things that the BBC ever did. It’s a really great way to catch up on TV that you’ve missed and I know some people who don’t have a TV but watch iPlayer instead. Unfortunately, it doesn’t work outside of the U.K., but it’s a really great piece of technology. All you need is decent internet speeds. 4OD. This is Channel 4’s iPlayer though actually, Channel 4 did it first. This also only works in the U.K. What’s good about 4OD is that it doesn’t just show the programmes they made themselves but it also shows imported programmes like Ugly Betty and Smallville (which I’ve recently really gotten into). Because it’s Channel 4, there are adverts that must be watched before and during the programme and that can’t be skipped, but that’s the same as watching it on TV. What I do is I start the programme playing a little before I’m ready to watch it so the adverts will be playing while I’m doing something else like blogging or tweeting. A difference between iPlayer and 4OD is that iPlayer doesn’t keep programmes on for too long. On most of the 6-part series, they keep all the episodes on until the end of the series and for a few weeks after that but some are don’t last for that long. 4OD however keeps most of the Channel 4 programmes that are shown but the imported ones like Desperate Housewives or How I Met Your Mother don’t stay on for too long. They also have a selection of old Channel 4 programmes like D Ali G Show and Shameless. ITV Player is to 4OD and iPlayer what Lambrini is to Dom Pérignon – inferior! It’s not as well designed (iPlayer’s the best) and the video player doesn’t work too well. Also, some programmes have LOADS of adverts and it can get annoying. This is also a U.K. only service. SeeSaw is another great online TV service but unlike all the others I’ve mentioned, it doesn’t belong to a certain channel so it has programmes from loads of different ones. Not all of the programmes are free and to be honest, you have to pay for all the really good ones. There are some good free ones though. You can watch some old BBC series that aren’t on iPlayer any more. There’s a link in the bar at the top of the SeeSaw webpage to all the free programmes. I use it to watch Hustle which is one of my favourite BBC programmes. They have most of the programmes that are on 4OD. I found out about SeeSaw from reading it in a magazine but now you can’t open IMDB or We7 (see below) without being assaulted by adverts for it. I’m not sure if Demand Five still has a site of it’s own. I tried it out a few years ago and it didn’t work so I never went back. Channel Five have, however put a Demand Five channel on YouTube where you can watch all their programmes. Don’t think you can escape the adverts though. I don’t actually watch anything on Channel Five except Neighbours and I haven’t watched that for months. You lot may though so enjoy the wonders of YouTube. The videos don’t show outside the U.K.
Blinkbox is like SeeSaw but it lets you watch films as well as TV. As usual, all the really good ones have to be paid for but if you look you might just find something you like. I’m currently watching Hotel Babylon on it. Here are links to the free films and TV. By the way, just as I was writing this, I heard an advert for Blinkbox on We7! 4OD also have a YouTube channel. Still full of adverts too. I’ve never really bothered with the YouTube channel and I always go straight to the source. The videos won’t play outside the U.K.
We7 is a music streaming website. It’s got loads of music and you can stream it for free and you don’t even have to sign up. Of course you can sign up if you want to and they say there are perks and you can pay for a better service with no adverts. The adverts aren’t too annoying though – just a radio advert every now and then. The on-screen adverts can get irritating though because they all pop up if you accidentally rollover them. 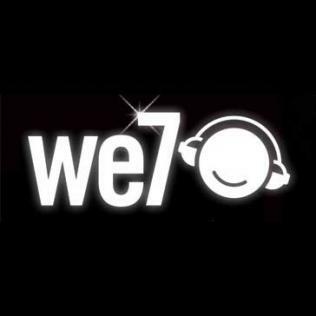 I only started using We7 recently (I had heard of it before though) and I really like it. Before that, I used to make playlists of music videos on YouTube and play them in the background while I was Facebooking and things like that. I’m not sure if it works outside the U.K.
Grooveshark is another version of We7. I’ve known about it for a couple of years but until today, I thought you had to register with them to use it. Today I found out that you don’t have to but it’s optional like We7. I haven’t really tried it out but it seems pretty good. I’m not sure if it works outside the U.K.
And of course, who could forget YouTube? The granddaddy of all online entertainment. Don’t you just love the internet? P.S. I thought I’d end the article with this note to everyone who downloads or transfers music illegally. EDIcation does not own the rights to any of the pictures in this post. If you own the rights to any of the pictures and wish them to be removed, please just leave a comment below the article.